Across the country on January 9, 2019, citizens observed National Law Enforcement Appreciation Day (L.E.A.D.). This day provides citizens with the opportunity to show support and appreciation to the dedicated people who serve to protect their community. The Village of Obetz maintains a local law enforcement agency—the Obetz Police Department—which consists of twenty individuals. These individuals knowingly put themselves in danger and work diligently to keep our community safe. 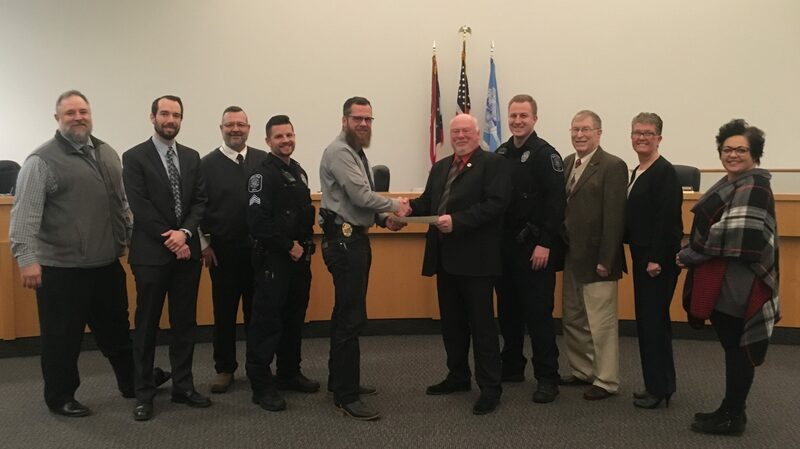 Mayor D. Greg Scott presented a Proclamation to the Village of Obetz Police Department at the council meeting on January 14, 2019, thanking them for their service and dedication. Click here to view the full Proclamation.